When you've prepared the perfect drink just plain ol' ice cubes won't cut it. No, you need ice that will not only look the part, but act it too. 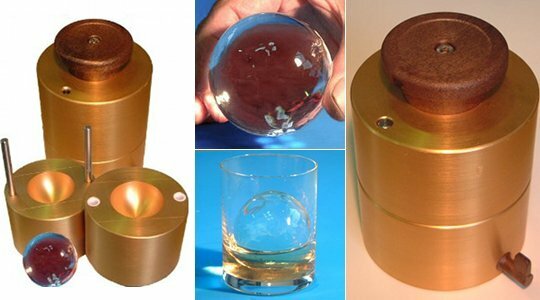 Enter the global hit from Japan Trend Shop, the Taisin Ice Ball Mold, which can create large ice spheres in seconds that have a perfect shape and also keep your drink cool for longer. A superb investment for any bar, restaurant or home kitchen, it's fitted with a useful cold-proof wooden grip on the top, making the mold easy to handle and open up. It's been especially manufactured for both professionals and domestic users, as well as with a strong design aesthetic so it will be sure to look striking wherever you place it. And creating the iceball spheres is easy too. 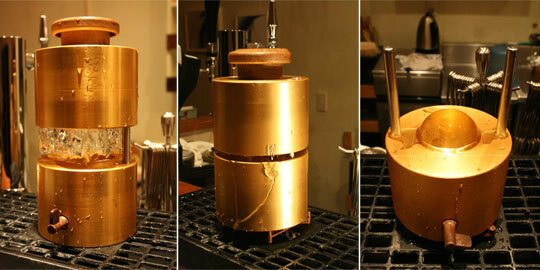 Just heat the aluminum mold in hot water, slip on your block of ice, attach the top and slide in the rods. The mold does the rest in seconds. If you have your blocks of ice ready you should be able to create 30-40 perfect ice spheres every hour! It's also available in a variety of sizes: "mini" 30mm, 55mm, 60mm, 65mm, 70mm, 75mm and even a whopping 80mm!